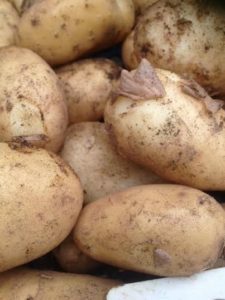 You are here: Home / News / PRODUCE – New Potatoes! 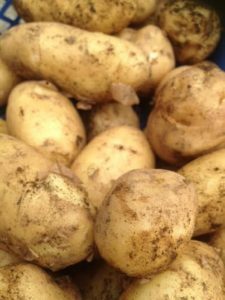 Our first New Potatoes are being harvested and are available to buy. 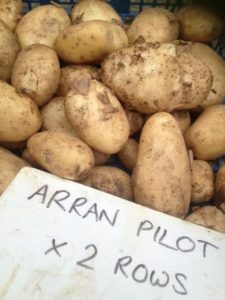 We have Epicure and Arran Pilot with Duke of York and Red Duke of York to follow in a couple of weeks. 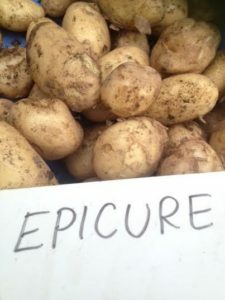 We do have some over-sized and slightly harvest-damaged stock available too, please ask! Give the shop a call on (01209) 718975, or just call in and see us Monday to Friday 9am until 4pm or Saturdays 10am until 2pm.